Small-ship expedition cruise operator Sea Voyager Expeditions will begin operations on Aug. 31, with 10 itineraries focusing on journeys to Colombia, Costa Rica, Ecuador and Panama. The latter is featured on nine of the company’s 10 itineraries, most of which incorporate a Panama Canal transit or a tour of the canal locks. 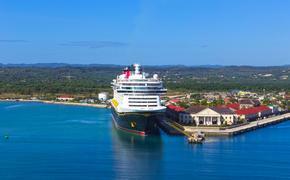 Special rates apply to nearly all sailings departing between September and December 2012, including 25 to 35 percent off published fares, which range from $2,460 to $5,588 per person, double occupancy, including discounts. Unaccompanied solo guests pay the same price as couples. Couples who book a 2013 cruise by Oct. 31, 2012, will save $1,000 off the fare. Eight- to 13-day journeys aboard the 60-passenger Sea Voyager feature land and water excursions accompanied by experienced naturalists and guides, while the ship’s culinary team offers cuisine featuring local ingredients. All of the ship’s staterooms are air conditioned and feature panoramic windows. The ship also features a lounge with large windows, dining room, bar, library with Wi-Fi, fitness room, covered decks and a platform for embarking and disembarking Zodiacs and kayaks and for swimming and snorkeling.